At our recent Public Meeting Town Centre Manager Melinda Brown supported by local businesswoman Karen Vaughan from Karens Estate Agents explained the proposals to make Acocks Green Village a Business Improvement District (BID). There are many of these districts around the UK and several in Birmingham including Kings Heath and Erdington. A Business Improvement District is a partnership between a local authority and the local business community to develop projects and services that will benefit the trading environment within the boundary of a clearly defined commercial area. 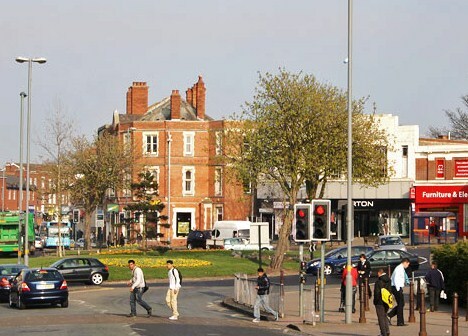 Becoming a BID will help to bring improvements to Acocks Green Village shopping area and make the village a better place for shoppers and traders alike. To become a BID, local businesses must first vote to pay funds into a pot which is then available for centre improvements such as floral displays, better appearances for vacant properties, community toilets, seasonal street events, or extra street cleaning. Businesses pay in according to their size. If you are a village shopper and think BID is a good idea why not mention it to the local shop keepers and ask them to support the BID scheme. For more details on BID click the link below for up-to-date information. This entry was posted in Events and tagged Acocks Green, BID, Birmingham, Business Improvement District, Dennetts, Ed Doolan, Karen Vaughan, melinda brown, Radio WM, shop local, Shopping, Swan Trio, town centre manager. Bookmark the permalink.